WordPress is flexible and efficient for user management system. WordPress allows us to add new users and edit the information of existing users easily. In the case of user management system of WordPress, you can set the role of users as well. In this blog post, we are going to share you about how to add new users, edit the previous users and delete users from your WordPress website. If you add new users to your WordPress websites you can assign different roles and provide them different access privileges to your site. Once user created, they will be able to log in to your site with a username and password and get access to your site based on the role specified. WordPress has five different users role. It includes administrator, editor, author, contributor, and subscriber. According to the user’s role, some have high privileges and some have low. You can set the users role according to the requirements. The administrator is the most powerful user role. Users with the administrator role can add new posts, edit any posts by any users on the site, and even delete those posts. This role has options to add theme, plugins, users and change users role and everything on the website via the dashboard. This role the utmost user role in WordPress. Users having the editor role in WordPress have full control on the content sections like post, page, comments etc on your website. They can add, edit, publish, and delete any posts on a WordPress site including the ones written by others. An editor can moderate, edit, and delete comments as well. 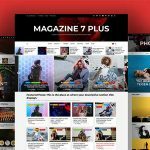 Users with the author role can write, edit, and publish their own posts as well as they can delete their own posts, even if they are published. Authors can’t create post categories, they need to set the post on the previous categories. Contributors can add new posts and edit their own posts but they can’t edit on other posts. 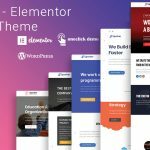 They can’t have access to themes, plugin, users role etc. They can’t even create their own category, they have to assign the post on the previous categories. This type of users mostly use on guest blogging websites. Users with this user role can login to your WordPress site and update their user profiles. They can change their passwords but they cannot write posts, view comments, or do anything else inside your WordPress admin area. In the WordPress admin panel, check Users section. Enter the User Name, Email, First Name, Last Name, and Website and select the role for the user. Check this link to know the access for the users based on role. In case of new users, it’s a good idea to send the new user an email to their account. After that click on Add New User button to add the user. Repeat the same steps above to add more users. 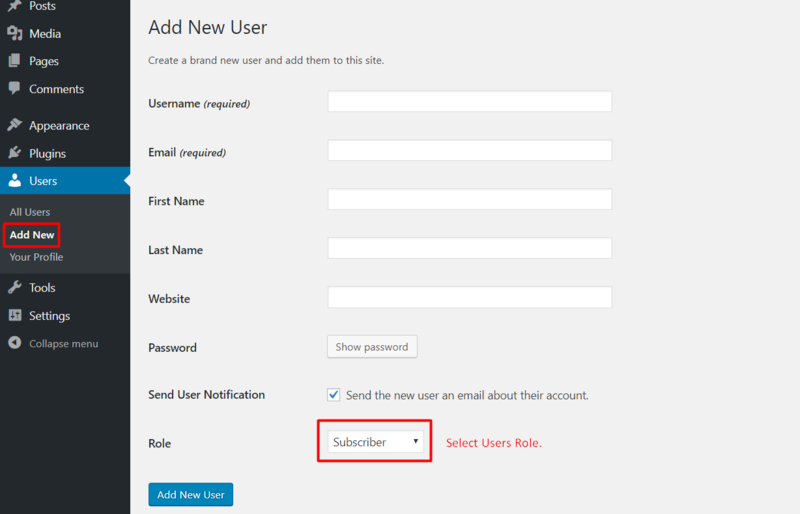 In case of existing users, If you want to change the user info like name, email and roles, you can edit the existing users on WordPress sites. You can give higher access or lower access for the existing users. Follow the below steps to edit the existing users. Click on All Users and you will see all the list of the existing users. Hover over the User which you want to edit. After the hover, you will get the options to edit. You can change everything like name, email, and role, but Usernames cannot be changed. After changing the info, click on Update Profile button at the last. If you want to remove the users from your site completely, you can delete the users from your site. Deleted users will remove all the access from your site. So, make sure which users you are going to delete. Like the above process, follow the below steps to delete the users. Hover over the User which you want to delete. After the hover, you will get the options to delete. Now the users removed from your website. Those users can’t log in with the previous credentials. Note: Administrator user can’t be deleted, only added users can be deleted. Hope this blog post is very helpful to you. Now you can easily add, edit or delete the users from your website. If you have any suggestions please comment us in the below comment section. You can check Youtube Channel for more videos. 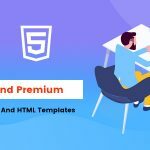 Why Template Sell is the best Marketplace for WordPress Themes and HTML Templates? © Template Sell All Right Reserved. 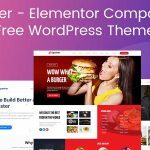 A growing marketplace for Themes and Plugins.